"Techno Train Nürnberg" is a 7-hour rave on a non-stop train ride through scenic Bavaria. Without a doubt, Germany has to be the world’s most creative country when it comes to repurposing spaces for techno clubs. Example 1: Zeche Zollverein, an abandoned coal refinery near Essen. Example 2: Kraftwerk, a massive turbine hall at a still-functioning power plant in Berlin. Another case in point: This weekend, a crew based in Nuremberg will use the country’s advanced rail system to throw a seven-hour techno rave onboard a non-stop train tour of Bavaria. 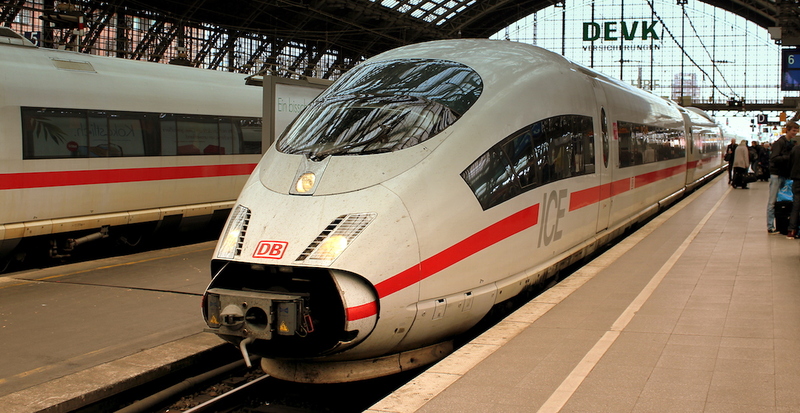 “Techno Train Nürnberg” departs this Saturday, March 23 from Nuremberg main station at 15:30. The train features 11 carriages, with two smoking cars dedicated to dance floors, one smoking car dedicated to a chill-out space and eight non-smoking standard carriages that will have music pumped in from the dance floors. Once departed, the train will tour Bavaria without stopping in Munich, and it will finish its journey back in Nuremburg at 22:30. Ravers can continue partying at Haus 33, Elferturm and Bar Lambada. Those who make it to 05:00 the next day can enjoy an after party at Die Rakete. For the full line-up and other information, head over to the event’s Facebook page, here. Watch a promo video for the party below. (Just in case you’re wondering, the party will not be on an ICE train).